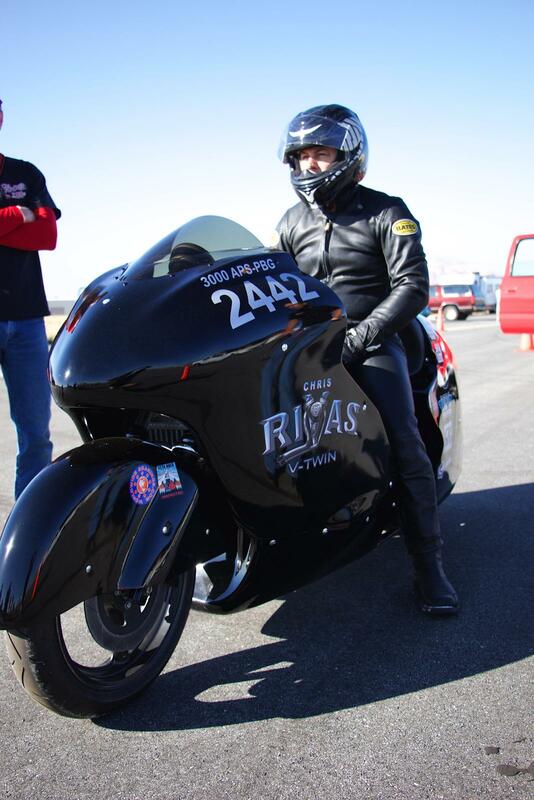 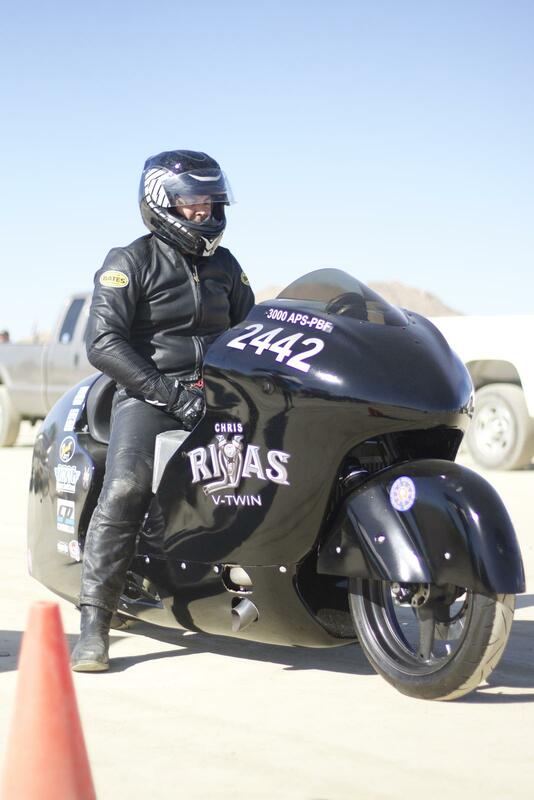 At the finish line at El Mirage for the new record of 198.670 mph. 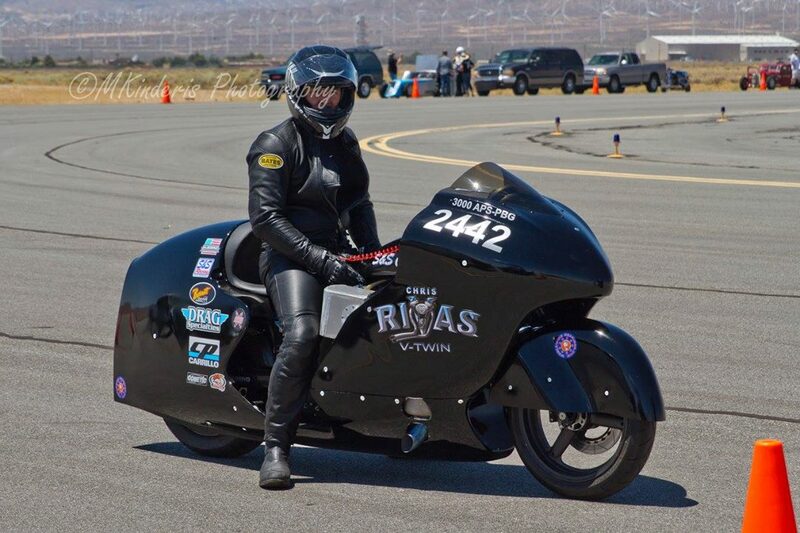 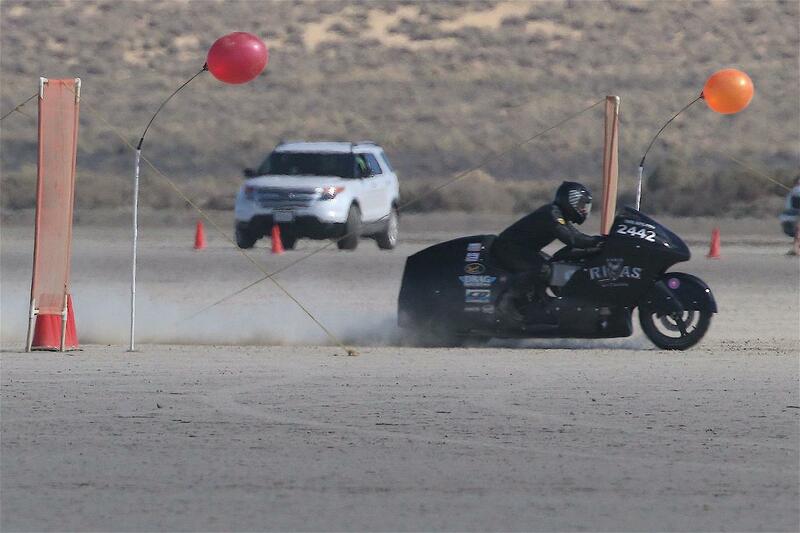 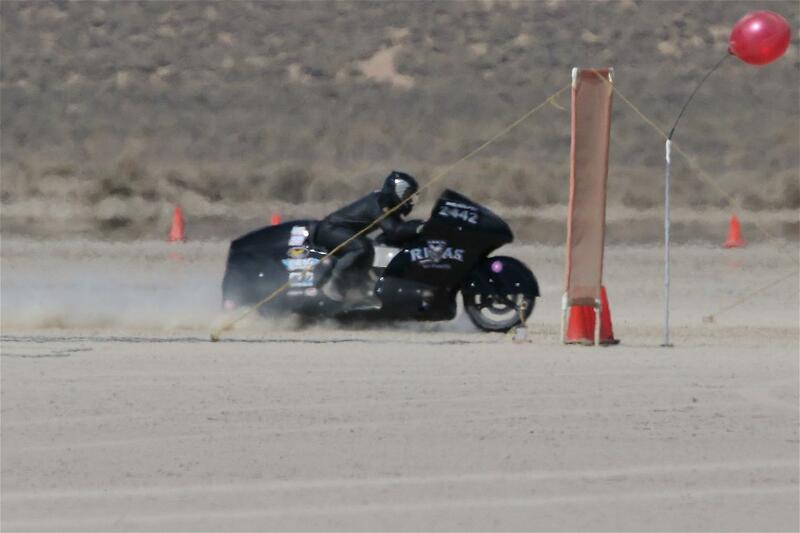 First Full speed run at El Mirage at 198 mph. 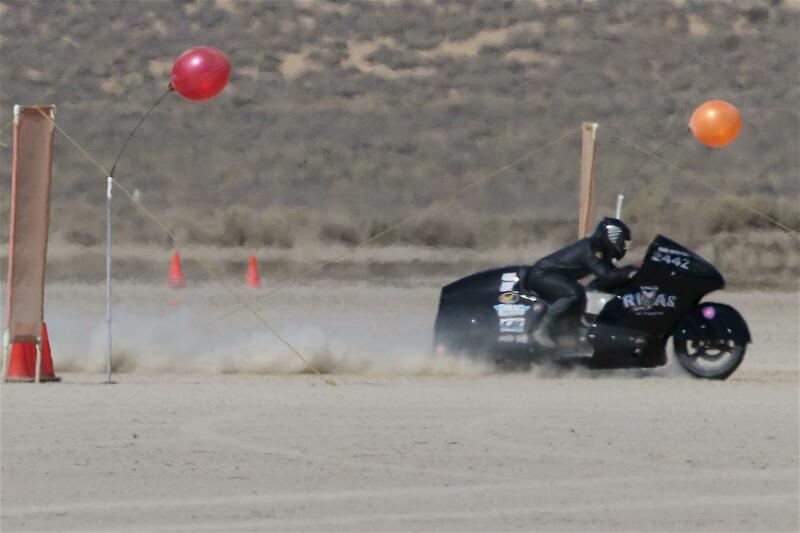 Chris receiving final conditions of the course at El Mirage before a 200mph+ run. 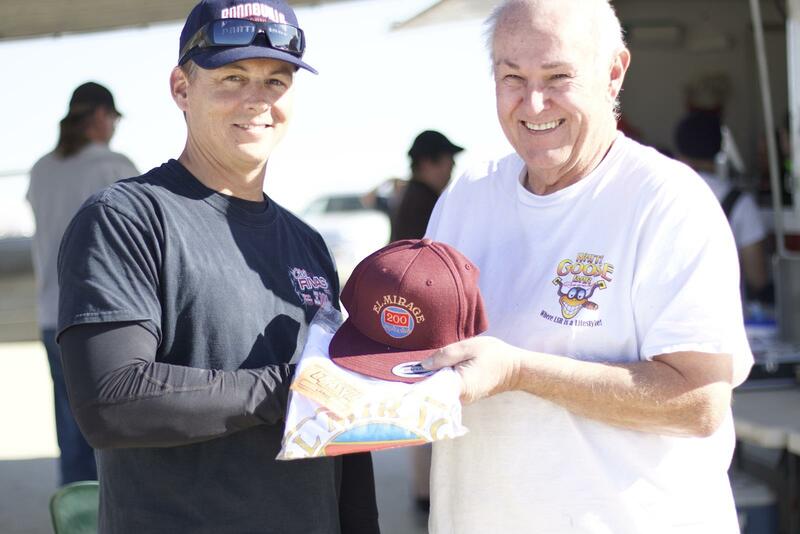 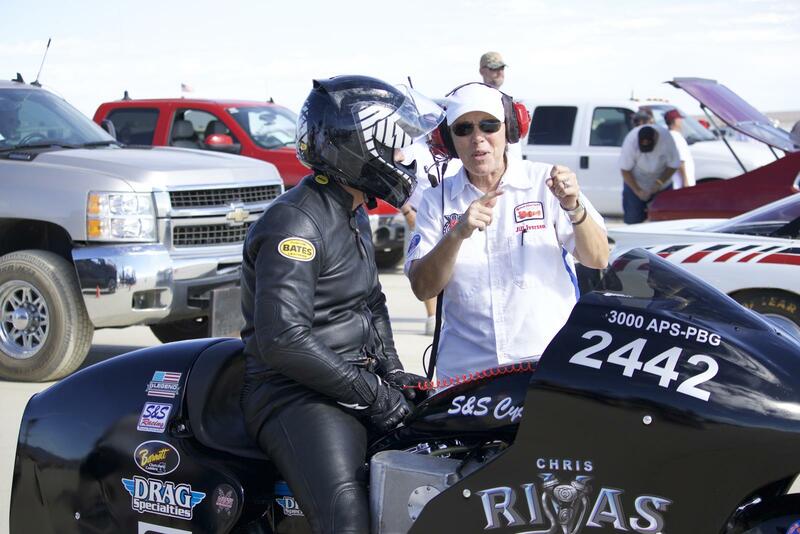 Chris receives congratulations and acceptance into the 200 MPH Club by legendary racer, Dan Warner. 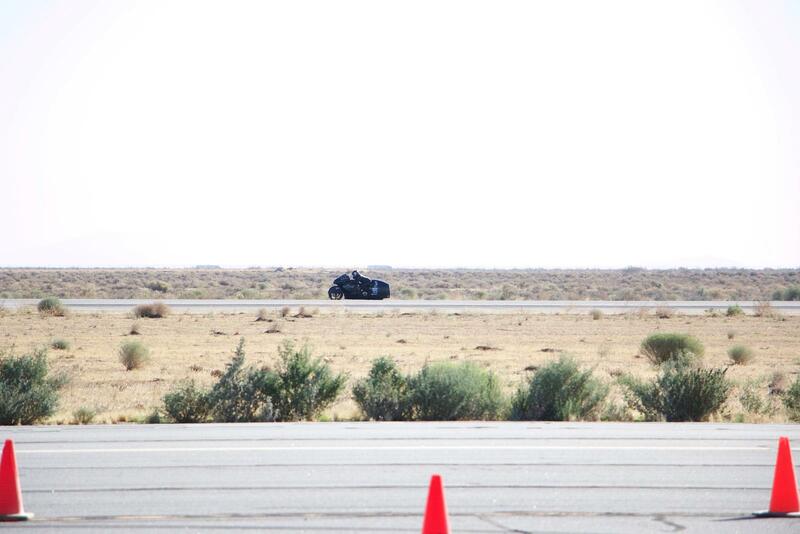 Getting ready for the mile run on black top at the airport in Mojave.